Positioning Accuracy up to 1 arc minute. Accuracy enhanced by software collimation error (mount mechanical error) compensation. Stepper motors with 1.8° step angle and 64 micro steps driven. Slewing speed up to 3.4°/sec (800X). 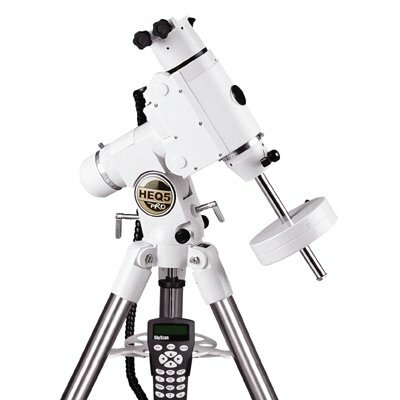 Auto Guider Interface for astro-photography. Power Supply Required - not supplied Guiding speed selectable from 0.25X, 0.50X, 0.75X, or 1X. Object database containing complete M, NGC, and IC catalogues. Minimal vibration for steady long-exposure photography.